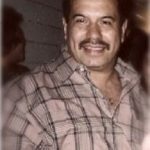 Ernesto Martinez, 48, Los Angeles, California, United States Ernesto was loved by everyone he always made everyone laugh he liked making favors for people. Thats how he passed away making a favor for someone it was July 4, 2009 he was dropping off a bag of charcoal from a friends house in Highland Park he got in the 110 Pasadena freeway on the 64ave entrance he was about to get into the freeway when the drunk driver lost control of the car and he hit Ernesto’s car right where he was driving Ernesto got stuck in the car the steering wheel was stuck to his chest he died at the scene as for the drunk driver he wanted to run away but thank god witness stopped him, the drunk driver was driving and drinking. The worse part of everything is that the drunk driver was not wearing his seatbelt and his car rolled around and nothing happened to him he was in perfect condition and Ernesto Martinez an innocent man was killed. The viewing was the worse thing ever over 200 people went to the viewing it was so full people had to be outside because there was no room inside. It was so hard for the family till today we cant believe he is really dead we see his picture and we feel like its all a dream. As for right now we are just starting our first trail. He left two children behind a goddaughter a mother, sisters, brothers, uncles, aunts and all loved ones behind. 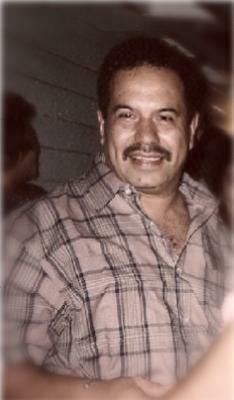 We will always love you Ernesto Martinez we will all see you in heaven.